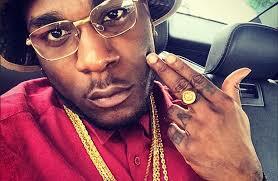 Afrobeat sensation, Burna Boy, has been announced as the new brand ambassador for Star Lager Beer. The announcement was made at the Circa, Lekki, Lagos on 27 January, 2019, where Burna Boy and the Star Lager brand team celebrated with a select few media, consumers and friends of the brand. The announcement was preceded by various clever visual cues and social media content which generated massive curiosity ahead of the official unveiling. Star Lager is one of the biggest brand supporters of music, and its efforts in the Nigerian music industry has seen the brand host events such as Star Quest, Star Music Trek and Star Mega Jam. Fresh from a highly successful concert, Burna Boy is poised to becoming one of the greatest music acts of today’s generation. The announcement of Burna Boy signals the beginning of an interesting brand relationship between national premium beer brand – Star and National pride and singing sensation – Burna Boy. Also speaking at the unveiling ceremony, Managing Director, Nigerian Breweries Plc, Jordi Borrut Bel, expressed his delight stating that, “We have always had strong interests in Nigerian music. The talent and the potential for greatness that our music industry possesses are truly immense. Star Lager Beer is the first indigenously brewed beer introduced into the Nigerian market on June 2, 1949. As a national premium beer brand, Star has spent the last few decades inspiring Nigerian to shine on to the brighter side, using these cores messaging to communicate the brand essence to millions of consumers across Nigeria.